This is the “Mirror Image” edition. I got to thinking; What would happen if I started applying the website CSS to other objects? This is the first result. And yeah, I’ve used it before. But I’m working on another one, which brought this to mind. The party’s over: Looks like Obamas approval ratings are falling fast. The article doesn’t except well, so I’ll ask you to simply Go and RTWT. Oh, and on that point, it’s nice to see Megan McArdle finally recognizing reality on Obama. I called that one, too. Jen Rubin has a great piece on this today, as well. Remember I said that the administration was using the crisis to push an agenda they’d have pushed anyway? They’d better hurry. He’s got that part right… I mean, I have to figure that anyone who embraces as anti-business a candidate as Obama demonstrably is, while making pretense of being a capitalist mogul, is a hard sell anyway, in my book… and add to it Cramer’s overt support of Ron Paul and you’ve got someone totally detached from reality and thereby totally unqualified in any kind of advice giving position at all, much less in the role of financial and investment advice. Think about this, though; if Stewart and Cramer are both lightweights and I agree they are, where does that place the dinosaurs who for years wouldn’t ask the same kind of questions Stewart did, of Cramer and people like him, back when Cramer was an Obama supporter? Stewart is being called a hero simply because nobody’s ever bothered to question Cramer before. Hemmingway suggests that Stewart went after Cramer and in turn CNBC in general, because Santelli went after Obama on CNBC. (Shrug) It’s possible, and even likely I guess, and I’d not put it past any of them. That said, who did what, specifically doesn’t seem to matter much to the point that there are political, not principled motivations driving all of this. Once that bridge is crossed it’ not much of a walk to the other conlcusions one could make about who was directing this revenge-fest, including the same team of Clinton WhiteHouse morons that went after Limbaugh recently. 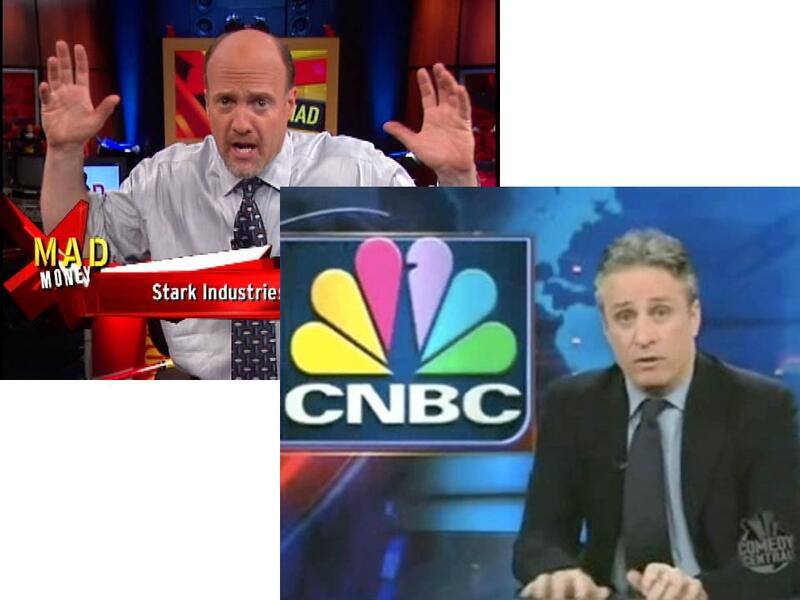 Bottom line; I won’t defend Cramer. But I wonder, now; The left has been complaining for years that Limbaugh was not to be taken seriously, since he’s only an ‘entertainer’. Why, then, take Stewart seriously? Think about that over your pizza tonight. In other words: Rick Moran beat me to the punch with this one. My own version is posted here. I seriously doubt they’ve come to terms with it, but ya gotta love the line. It’s the weekend, Baby: Supposed to be 50 around here this weekend. We’ll see how that works out. I may even get the garage cleaered out. Madoff response: Of all the response I got from last night’s Madoff comments, the one that really caught my eye was the suggestion that Obama should consider getting Madoff to run the Social Security system. The skills needed are identical, after all. Count ’em….I’m not a Syracuse fan, but good lord… Six overtimes? 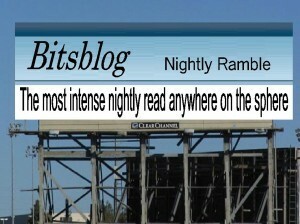 Of Billboards and such: A shout out to David, who asked an excellent question this monring. Jonah has a great answer. The only time the word militant is used without such further explanation is in the context of ongoing stories in which the reader can be expected to understand what sort of militancy or militants are being discussed. A story about “militants” firing rockets into Israel from the Gaza Strip, for example, can be understood to be referring to militant supporters of Hamas.